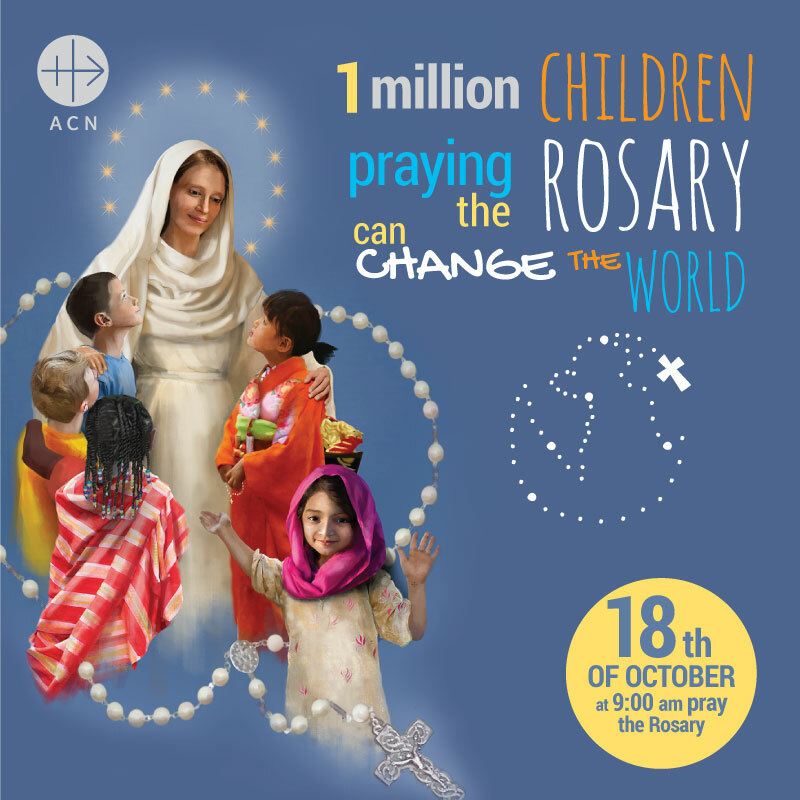 SCHEDULED for October 18, 2017, Aid to the Church in Need (ACN) has launched the “One Million Children Praying the Rosary” campaign–in honor of October as the month of the Holy Rosary and to petition the Lord for peace in Syria, especially for the sake of the children in the war-ravaged nation. 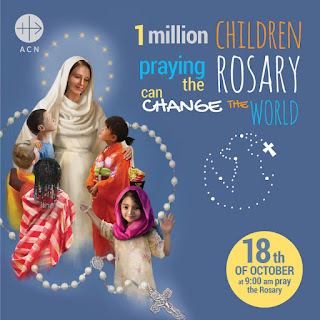 ACN is calling for children everywhere to say the rosary on that day at 9AM on Oct. 18, in their respective time zones. That day, the rosary will also be dedicated to a prayer for unity and peace throughout the world. In many parts of the world, plans calls for an interruption in the classroom so that students can participate and pray along. The children’s rosary campaign was initiated in 2005 in Venezuela. The initiators have placed their faith in a quotation from St. Padre Pio, “When one million children pray the rosary, the world will change.” This gave the initiative its name. The response from all over the world has been great. Last year, children in 69 countries took part in the prayer campaign.